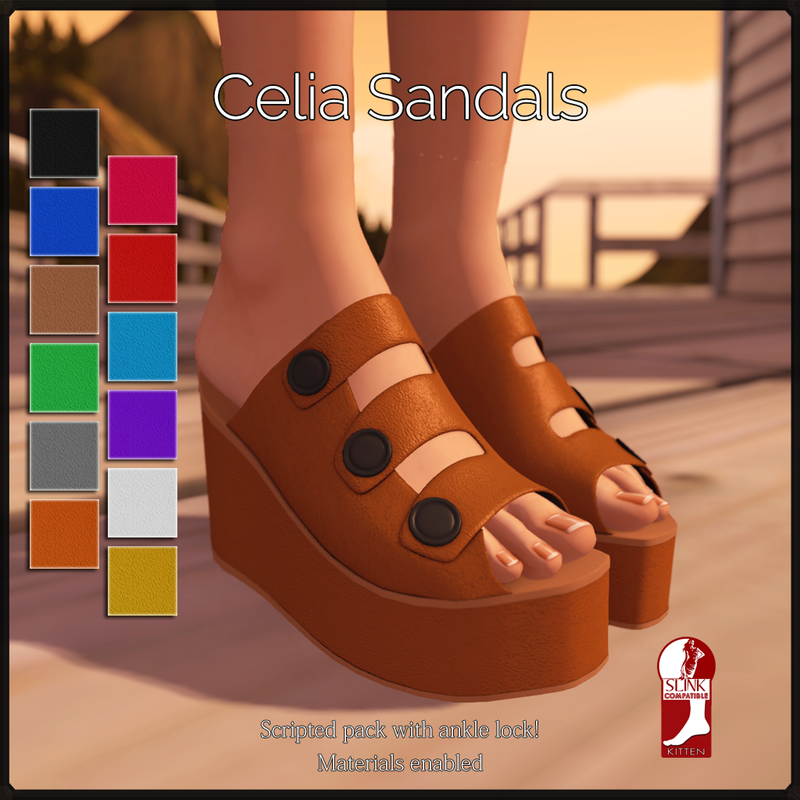 Out now for 30L Saturday, are the brand new Celia Sandals! They are compatible with Slink Kitten feet only. Each color is only L$30ea for the rest of the day! Also out now for regular release, is the dark pack of the Celia Sandals! And by request, I have put together a pastel pack of the Dryna Pumps! All of the above is 100% original mesh, and is rigged to Slink and/or Maitreya foot shapes, and will not work on system feet, Each full pack comes with a texture HUD for easy texture change! The Slink/Maitreya compatible shoes HUD also includes a fast change option between the two, for when you need to change your feet quick, and don't want to dig through your inventory for the other pair! All packs (full and single) include an ankle lock in a HUD, for when your AO decides that your foot should shove through your shoe!